The Arkansas Lawn Mower Racing Association is pleased to announce that after approximately a 10 year hiatus, the USLMRA is returning to The Natural State. 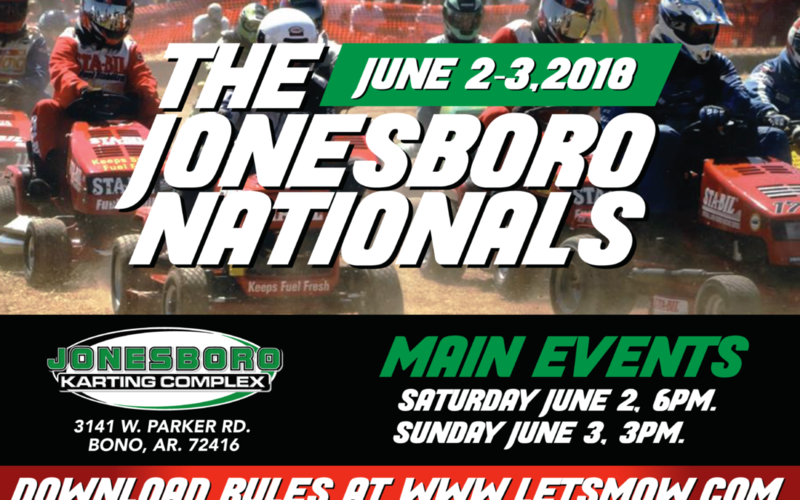 The Arkansas Lawn Mower Racing Association is proud to be partnering with the Jonesboro Karting Complex to offer the USLMRA members an opportunity to race on one of Arkansas’ premier race tracks and facilities on this coming June 2-3.
performance store on the Internet at efkarting.com. The ARLMRA and the JKC are excited about this event and look forward to hanging out with all of our USLMRA friends throughout the US.